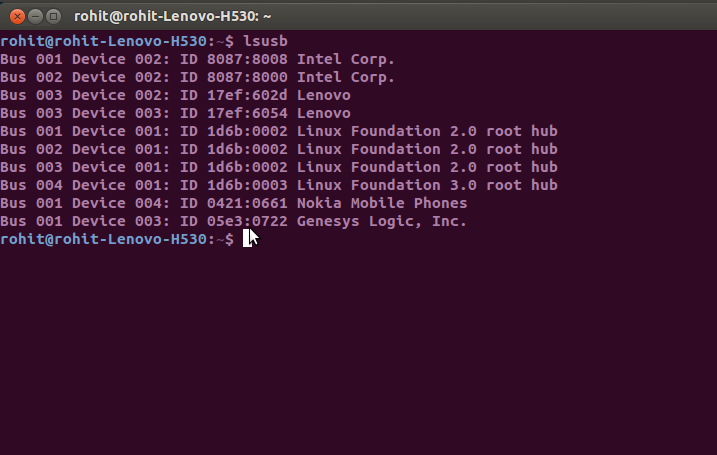 I have a Nokia Lumia 520 device that fails to enumerate as a USB Storage on my Ubuntu 12.04 LTS desktop. Things are not as plug and play it seems. I have been using the skydrive( *cough* OneDrive ) route to access media for a few weeks until today i sat down to fight the issue Running.. 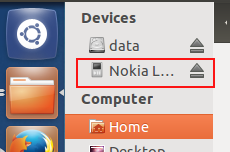 This means the Linux knows that we have a nokia mobile phone! But it doesnt provide a file access to it. A little dig shows that ‘modern’ ‘smartphones’ use MTP (Media Transfer Protocol) to transfer data ! 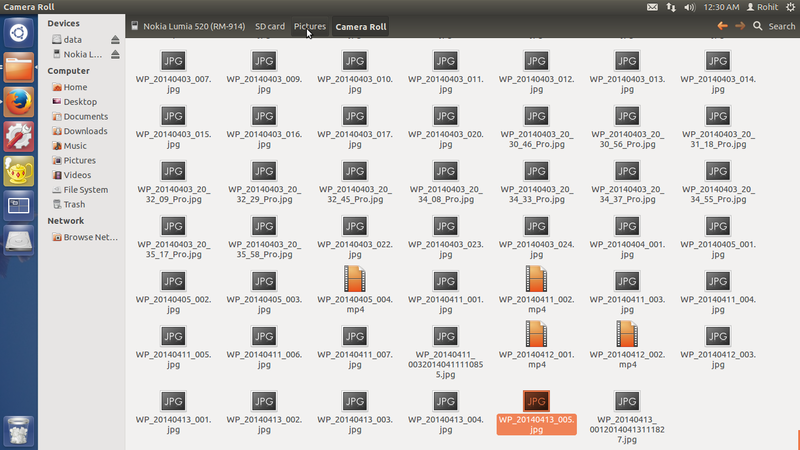 Its a modified Picture Transfer Protocol.. Ubuntu 12.04 has no ‘native’ support but Ubuntu 13.04 does have it. So, i followed the above link and after a bit of restarting the device finally showed up! But i was not quite able to access it as it failed to mount the device repeatedly. I replugged it a couple of times and went to Terminal and typed natilus and then it got mounted! I was able to access the SD Card and phone memory without issues. The read(copy from device) and write( paste to device) both operations worked! But there was no thumbnail preview ! If you want to view an image just copy paste it somewhere outside the device to view it. Hope this helps the small niche of people who have a WP8 based phone and have an Ubuntu System !